In NGN, many transport-related technologies were considered. One technology discussed is ATM (Asynchronous Transfer Mode) based MPLS (Multi-protocol Label Switching) for its provisioning QOS (Quality Of Service) commitment, traffic management aspects and smooth migration to the BcN in Korea. 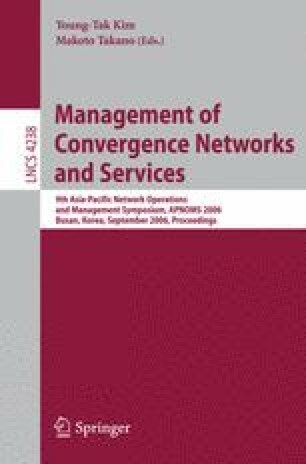 In this paper, we present preventive congestion control mechanism that uses network signaling information for detecting and fuzzy control to a SC(Slim Chance) of LSP (Labeled Switched Path) in ATM based MPLS system. Proposed control can handle 208% call processing and more than 147% success call, than those without control. It can handle 187% BHCA (Busy Hour Call Attempts) with 100 times less use of exchange memory.